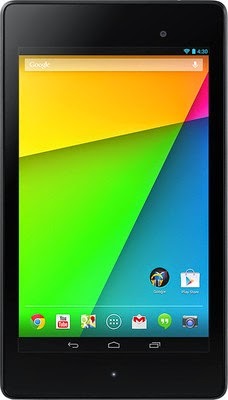 Home » discount on google nexus 7 , google nexus 7 , Google Nexus 7 Tablet , google nexus offer , tablet » Google Nexus 7 2013 with Wi-Fi 32 GB Tablet at Just Rs.15999 only. Google Nexus 7 2013 with Wi-Fi 32 GB Tablet at Just Rs.15999 only. Here you can get Google Nexus 7 2013 Tablet (Wi-Fi, 32 GB) (Black, 32 GB, Wi-Fi Only) worth of Rs.23999, can be get it at Just 15999 only. Please hurry to take the advantage of this discount offer. No need to Apply coupon code . make the final payment of Rs.15999 only. Enjoy the deal with Google Nexus 7.